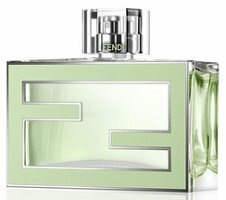 Fendi will launch Fan di Fendi Eau Fraîche, a new variation on 2010′s Fan di Fendi for women. Notes for the transparent floral include bergamot, citrus, Sencha green tea, orange blossom, jasmine, cardamom, cedar and musk. Fendi Fan di Fendi Eau Fraîche will be available in 30, 50 and 75 ml Eau de Toilette. Fan di Fendi must really be selling. I guess. Wasn’t my thing, but will try this if I see it — sounds nicer than the original. never tried any of Fendi’s fragrances, this one seems very much my type, fresh & clean. I own bvlgari mon jasmin noir l’eau exquis & I may also get dior escale a pondichery, not all green scents I like. I didn’t care for Fan di Fendi either, at all, but this scent sounds completely different – and well worth trying! Robin, this sounds like it could be really good. Are there any clues on the perfumer ? No, but I’ll update if I find out. everytime I hear of citrus notes, orange blossom and green tea I think of EA’s. which smells like orange juice on me, but I use it in the Summer to soften some of my no name lemon body splashes that I pick up in the Dollar Stores just to keep in the car for unexpected day trips involving outdoor activities and lack of adequate restrooms to freshen up in.